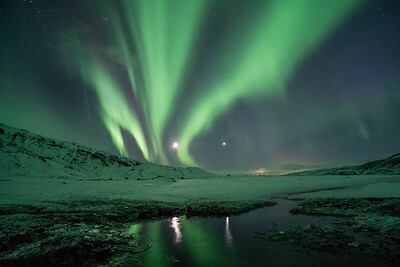 Aurora Borealis Iceland = WOW - This is clearly one of the best experiences to have on your trip! Those dancing lights are mesmerizing. 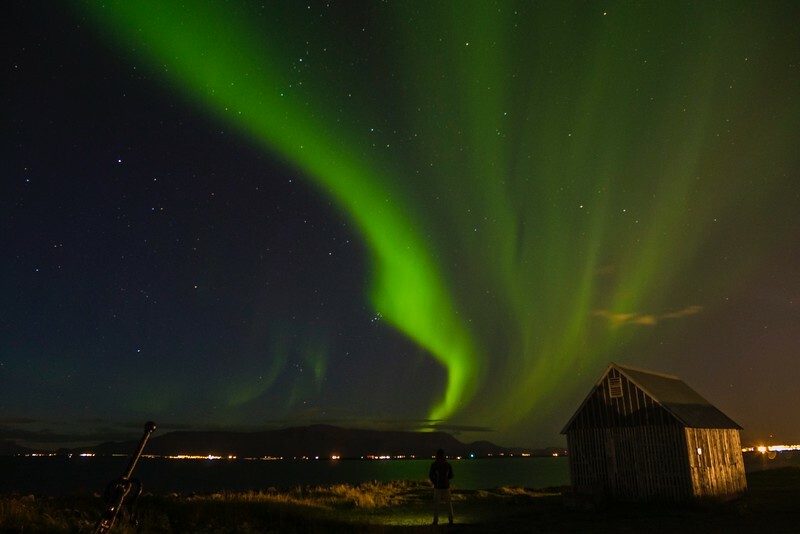 So here is a guide to help you find out how to see and photograph the Northern Lights in Iceland including best time, forecast... and options of Iceland Northern Lights tours. WHAT are Aurora Borealis a.k.a. Northern Lights? Scientifically, when solar flares or solar wind happen on the sun, particles from the sun enter Earth’s atmosphere and collide violently with gas atoms generating the auroras. Culturally, in China and Japan, it is believed that a child conceived under the Northern Lights will be blessed with good fortunes. So you can imagine was some night﻿﻿ tours with Japanese tourists can become lol. Red is rarely produced, when collisions happen at high altitude, and pink when the solar particules meet Nitrogen molecules at 100km above the Earth. I have not filmed myself my own Northern Lights experiences in Iceland. But I found you a video where activity is medium. This video shows quite well the reality with the clouds even though seeing them right above Reykjavik is not that frequent. The following guide about finding when and where to go to see the aurora borealis Iceland has been created base don my own experience, the wisdom and knowledge of my Iceland guides and the experience of 3 professional photographers in love with Iceland. North Iceland is often considered better to see the Northern Lights in Iceland because generally less cloudy and even more to the North. The first option is to chase the Northern Lights with your rental cars. You have to chase areas where the cloud cover disappears and where you are away from lights. But driving at night looking at the sky is not easy especially when you don't know the country. See in a following sections advice on planning your chase. The easiest option is to get on an organized tours. There you are with professionals who are used to chasing the lights and know where to go. Plus they communicate to help each other find spots for their group. Note that all northern lights tours will have negative reviews from people who have not seen any. This is nature... nothing is guaranteed. But most offer to take the tour another day if you have not seen them the first time. Another options if the Northern Lights are essential for you, is to book a full trip around Iceland which includes Northern Lights hunting whenever possible. This way during the day the guide takes you to the best spots in Iceland, and in the evening, the guide assesses the possibilities of seeing the lights and take you hunting. Before telling you more about how to hunt the northern lights in Iceland, let's clarify a few points. To be completely honest, mos tof the times they are not covering the whole sky like we can see on the beautiful photos on the Internet. But even if you don't see much, it is already exceptionnel to see those colors in the sky. And if you are lucky, you might see and unforgettable show, you never know! However some people have seen beautiful display on a forecast at 0 and nothing at a forecast of 4… So be ready for anything! First you have to plan your trip at the right time. Night length: Mid September through March is the good time frame for auroras as you get longer nights. Moon phase: A partial moon can help illuminate the foreground whereas a full moon can wash out the aurora. In planning your trip, consider the moon phases. If there are clouds you will not see anything. So you should check the could cover on the Icelandic met office website where white means clear sky – you can slide the time at the bottom to see progression through the night. However remember that Icelandic weather is unpredictable so you should check out several times outside before deciding to go to bed. And once you found them, what to do? 1. Take the time to admire the lights. I understand you want a souvenir to show people. Personally I regret not having spend more time watching them directly rather than through my camera. Depending on the quality of your camera and lenses you can play with those settings for noise management. Keep changing until you get what you need and be ready to change again as the aurora moves and gets brighter. The best photos are with a nice foreground. Although not a golden rule, you will increase you chance of a nice shot with a feature facing North. 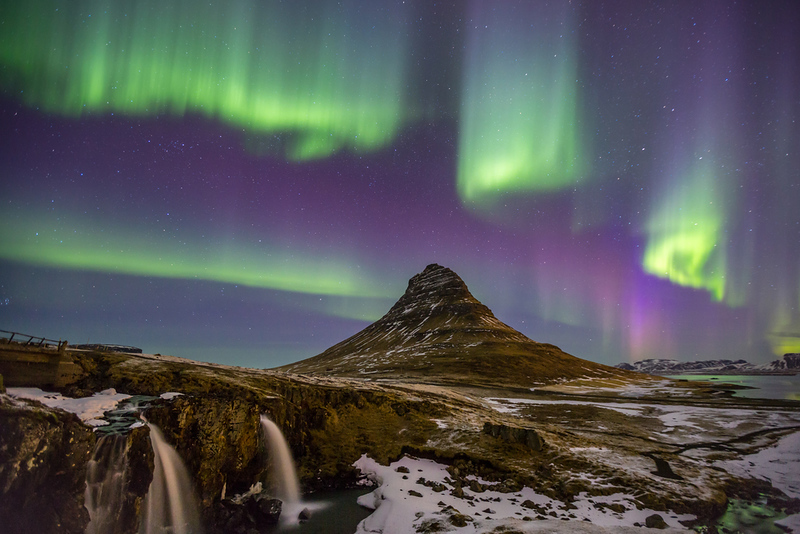 Check out Elia locardi’s amazing aurora shot. He was one of my tour leader. 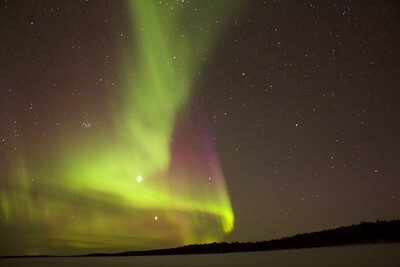 One of the thing you need on a quest to find and photograph northern lights is Patience… and warm clothes. It will be challenging. Iceland is windy and rainy and cold so wear a lot of layers, good gloves and hat. And stay awake you never know when they might appear! 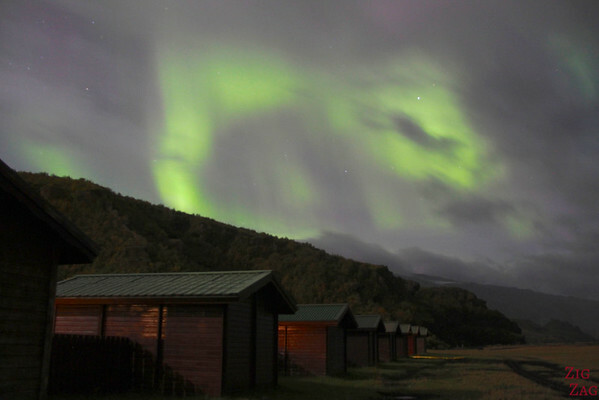 Can you see Northern Lights in Iceland in August? That's a frequent question since many people have their vacations in that period. Towards the en of August, nights are getting longer so it theory it is possible, but not that frequent. That's why organized tours to see the auroras only start on the 1st of September. Can you see Northern Lights in Reykjavik? In theory yes. But with the Light pollution you won't see it as well. And if they are visible from te city, that means they are exceptional from outside! If you are in the city and notice something, head to the waterfront near the sun voyager sculpture to get away from the lights. 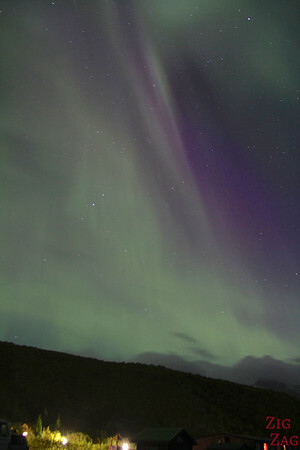 What is the best Northern Lights tour operators out of Reykjavik? There are no clear winner here, no best company to see the northern lights in Iceland. I have read tons of reviews and it depends on your guide, and your conditions... So many things can impact the experience. When choosing a tour, just make sure that there are not many complaints about rescheduling when not seeing any lights on your first tour. One complaint is OK because you always have that person who is difficult and want a special thing. But if you see the issue repeated in several reviews, better to select another one. There are no patterns. You can see them only 10minutes or have a whole night show. It depends on the magnitude of the solar wind. Should I search for higher ground to better see the auroras? The altitude does not impact your viewing experience unless it helps you get away from a light source.